The point of a portable oxygen concentrator is to give oxygen patients like yourself freedom to do as they please, but how are you supposed to enjoy countless freedoms when you are weighed down by external batteries? With the AirSep Focus external micro battery you won’t ever have to worry about being weighed down as it weighs in at a petite 0.5 pounds. Depending on what you are doing there may be a more suitable carrying method other than just holding your battery. Which is why the Focus external micro battery can be clipped to your waist with the belt clip, or it can be carried in the pockets of the dual pocket custom carrying case to reduce adding additional weight to the Focus. 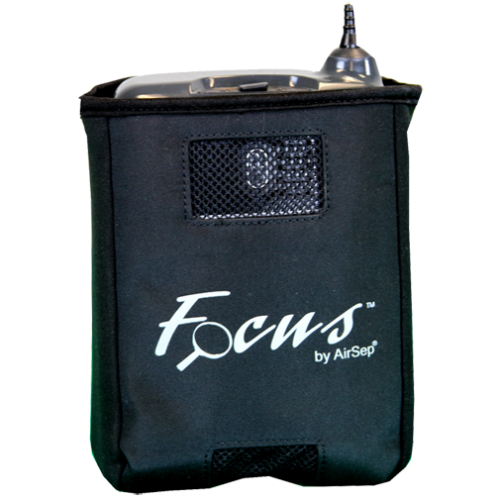 When using the external micro battery to power your AirSep Focus while running errands, a single charge will produce uninterrupted supplemental oxygen for up to 1.5 hours. To extend portable use plug the DC supply into the Focus whenever you are in the car, that way you power the Focus from your car battery without depleting the external battery. 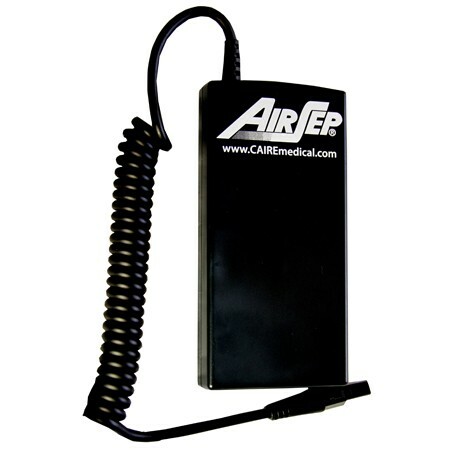 The AirSep external micro battery features an on-board battery gauge, which allows you to check the status of your battery anytime with the push of a button. 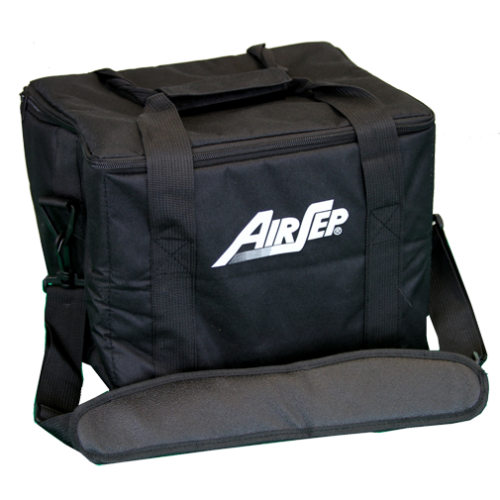 The battery gauge is also easily accessible when using the dual pocket custom carrying case, as each pocket features a cutout that makes the battery gauge clearly visible without needing to remove the battery from the case. With the press of a button you will get an instant reading of your remaining battery life, the battery gauge will show the charge status of your battery in the nearest 25% increment. Charging your AirSep Focus batteries at the end of each use is extremely important in order to prepare and be ready for the next day. 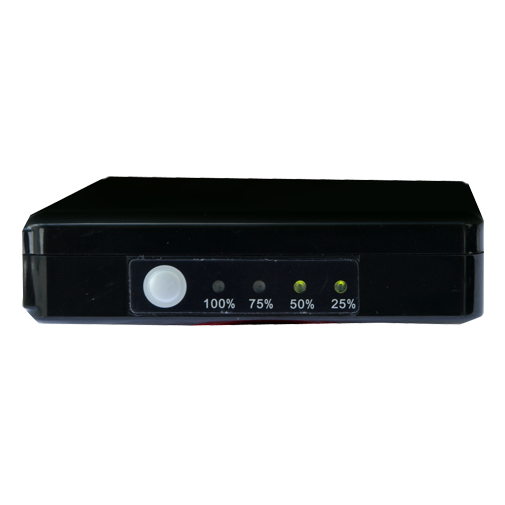 The universal power supply gives you the ability to charge up to two batteries at once using either the AC or DC power supply, or you can opt to charge a single battery while also powering the Focus. 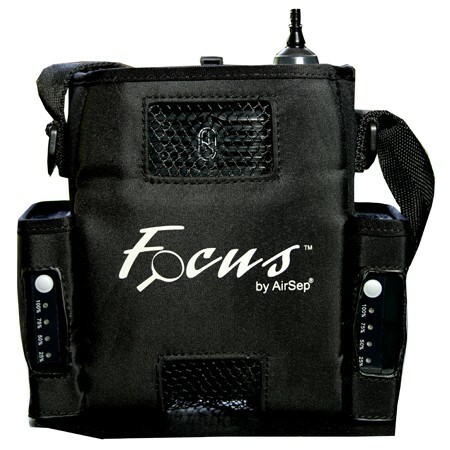 One of two reasons why it is highly recommended to have multiple batteries on hand is to simply prepare for the unexpected and to give you additional portable usage of the AirSep Focus. The second reason is for those of you planning on flying somewhere, the FAA requires all oxygen patients to have 150% of the flight time in battery life. Check out the external 8-cell battery and enjoy up to 3.5 hours of operation off a single charge!